Raised by a successful Realtor in Winnetka, IL., Becky has been involved in the Real Estate business since she was 5 years old! After attending New Trier High School and the University Illinois, Becky relocated to sunny Florida and followed in her mother's footsteps! She began her career as a Residential Property Manager, who specialized in the rehabilitation of distressed apartment communities, and earned her Florida Real Estate license in 1991. 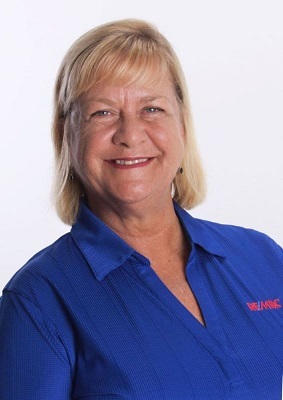 Becky joined the RE/MAX organization in 1992 and quickly became a top producer of home sales on both Florida coasts. In 2007, Becky and her husband relocated their family back to the Chicago area in an effort to give their children the same Midwest upbringing that that had! After 20 years with RE/MAX, joining the RE/MAX Suburban office in Mount Prospect was an easy decision. Becky loves helping both Sellers & Buyers! She has received the Senior Real Estate Specialist designation from the National Association of Realtors and has a large network of service specialists to help her clients. Liz Thompson is from Glenview, IL. and also resides in Mount Prospect. She attended Marillac High School and graduated from Indiana University with degrees in Communications and Spanish. The first 25 years of her professional career includes working in College Admissions and as a bilingual educator. In 2017, Liz decided to pursue her interest in the Real Estate business and joined Becky's team as an Administrative Assistant. She quickly realized how much she enjoyed the Real Estate business, earned her Illinois Real Estate license and is now the team's Home Buyer Specialist! She is dedicated to educating her clients, helping them find the perfect home and getting them to a closing table with as little stress as possible. They are both members of the National, State and Local Boards of Realtors and supporters of the Children's Miracle Network by donating to the charity after every closing! They credit their genuine desire to help others, along with their strong customer service, marketing, negotiation and communication skills for their success! If you are a seller, buyer or a fellow Realtor, who needs to refer a client, give them a call for exceptional Real Estate service! "When you need to Buy or Sell, be sure to call Homes by Becky L!"